Two bright princes of international cricket – Shane Watson of Australia and Dinesh Chandimal of Sri Lanka — are battling it out at the World Cup 2015 to save their careers. 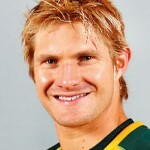 While 25-year-old right hander Chandimal, according to Sri Lanka’s Chief Selector Sanath Jayasuriya, is confused at the crease with his approach to the game, Watson, according to Australian Newspaper, Courier Mail, has sought the assistance of former Australian Dean Jones seeking solutions to his current predicament. Both cricketers shot to stardom early in their careers and even have captained their respective countries in one segment or the other, but today are not in a position to command their positions in the playing XI. The slightly built right hander from Ambalangoda, made his international debut when he was only 21, and impressed almost immediately, scoring 111 in his second ODI against India in the 2010 triangular series in Zimbabwe. Four innings later, he made another century, this time against England at Lord’s, but his reputation rose significantly in 2012, when he performed splendidly in ODIs on successive tours to South Africa and Australia. In somewhat alien conditions Chandimal occupied the crucial No.4 slot and revelled in the responsibility, scoring consistently. In 16 ODI innings in those two series, he aggregated 630 runs, including six fifties. He was equally impressive on his Test debut too, scoring fifties in each innings in Durban as Sri Lanka won their first Test in South Africa. From there Chandimal rose to the level of being named the T20 captain of Sri Lanka. At that point a slight dip saw him losing the place, though being the captain during the ICC T20 championship in Bangladesh – and since then, his place in the playing XI has been in question. Jayasuriya said that the fault of Chandimal was that he had tried to correct his technique and changed his approach. “What I see is he is a natural player like me. When we see the ball is there to be hit we go out and thump it. That is how he scored all those runs early in his career. Now what has happened is that he tries to bat with a conventional back lift and play in the V. I feel that is not his cricket. When I was playing international cricket I used to score a lot of runs off my slash drive. Sometimes I have been caught at the third-man fence, but it did not matter to me. I scored more runs with that slash drive more than I got out. That was my game. “My contention is that he is not Mahela Jayawardena and he cannot become Mahela Jayawardena. 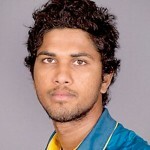 He is Dinesh Chandimal and he should live it. Yes, someday he could take the No.4 slot in the lineup. But, it should be Dinesh Chandimal that is batting out there,” Jayasuriya said. In Australia, the struggling Shane Watson has been spurred by an article that the former Australian batsman Dean Jones wrote on him. Jones wrote an incisive newspaper column a month ago about Watson’s game, lauding the allrounder’s ability, but, also vividly spotlighting the soft spots. Jones felt that Watson had lived off his talent and had not anyone who he could trust to work on his technique. The duo has made contact since and Jones has taken a close interest in Watson as he fights to save his international career. Have we been over valuing and over paying Fiji players? Mission Afghan for Angelo and Co.